ABBA The Catalogue Australia - DELUXE EDITION. 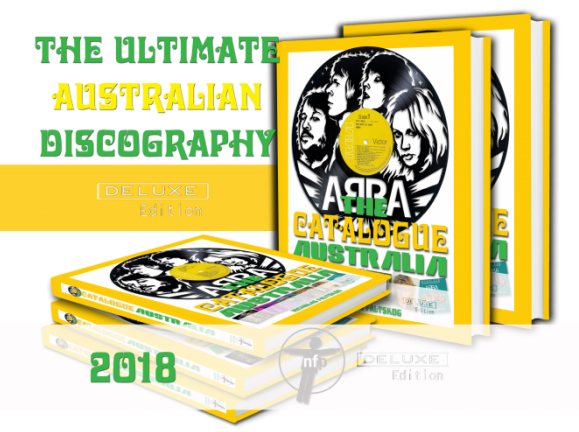 The second book in the "ABBAMANAIA AUSTRALIA" Series is the Ultimate Australian Discography book. 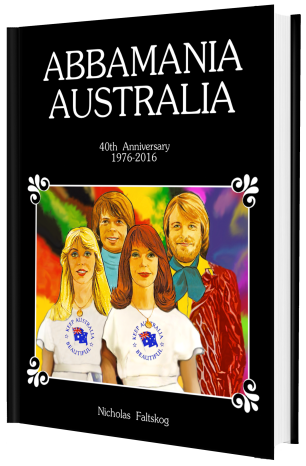 The new book takes over from the "discography" featured in the first book ("ABBAMANAIA AUSTRALIA") and is updated and expanded to cover almost all the Australian Abba and solo releases to date plus a few surprises! Featuring all new artwork and photos of every release, this book has updated release dates etc that were unknown or unavailable in the first book. Due to the Amazing news that Abba are to release brand new material in December 2018, the new book (Sadly) has had to be delayed to be able to include the new release and this moment in Abba history! The "40th Anniversary Edition" of the book has SOLD OUT. It was replaced by "The Deluxe Edition" of the book containing updates. "ABBAMANIA AUSTRALIA" is currently unavailable. A new and revised edition will be released in 2019.